You are currently browsing the archives for the Hearing God’s Word category. Like you, I am faced with choices, desires, options, and possibilities. Some options are obviously contrary to the heart of God, and so I know not to consider them as viable. But what about those other options? What about my desires, dreams, and hopes? Everyone has them, or had them at one time. As a follower of Jesus, there are many paths that are considered acceptable by my church culture. If I want to pursue something, and it has a “Jesus element” to it, then I usually get approval by most people that I know. There are other activities that are considered good and acceptable by my popular culture, and are not obviously “wrong”, and so once again I receive a nod of approval. Following Jesus is completely contrary to the two scenarios that I have just described. Neither public approval nor my church culture approval is enough to validate a trajectory for my life. My own desires, predispositions, and tendencies are not to be the compass for my existence. Someone has said that, “the enemy of the best is the good”. It is incredibly easy to be a few degrees off regarding what one ought to be doing with their life. A few degrees off doesn’t seem like much when a pilot first takes off, but obviously, the further he flies, the more off course he gets. Such can be the outcome of a person’s life. We can be well intentioned, but way off course. We can “land” in a place that is distant from where we should have landed. To some I may sound idealistic. To others, legalistic and confined. I have considered those possibilities as well. I have wondered if I ought not allow myself to be more free, to follow the impulses and passions of my heart. As I understand it, following Jesus is neither a matter of pragmatism, or logic. Pragmatism dictates that we ought to do the things that “works”. Logic is the thing that seems obvious. A Christian man might be a very talented athlete, with a great possibility of a professional career. Pragmatism and logic would dictate that that is the course he ought to pursue, but it may not necessarily be the path that God has chosen for him. Just because a man can follow a path and be successful at it doesn’t mean that he should. Two examples of this come to mind: Jim Elliot, and Eric Liddell. Both men were incredibly gifted athletes, but both set aside their athletic pursuits to pursue a greater prize. People undoubtedly called Elliot and Liddell foolish for choosing Christian service over athletic careers, but both men stayed their courses as they felt led by God, and their lives and deaths have become models of faith for the Christian Church. Pragmatism and logic would have dictated different paths for Elliot and Liddell. Their personal passion for sports, coupled with their athletic talents would have seemed to be evidence of an athletic career, but the Spirit of God had a greater plan. Let me conclude with some scripture that points to what I am suggesting. Philippians 3:12-14 Not that I have already attained, or am already perfected; but I press on, that I may lay hold of that for which Christ Jesus has also laid hold of me. 13 Brethren, I do not count myself to have apprehended; but one thing I do, forgetting those things which are behind and reaching forward to those things which are ahead, 14 I press toward the goal for the prize of the upward call of God in Christ Jesus. John 8:29 And He who sent Me is with Me. The Father has not left Me alone, for I always do those things that please Him. Both Paul and Jesus could have been incredibly successful in the eyes of the world if they had chosen different paths. Paul would have been a shaper of culture, a great author, and a philosopher. Jesus could have changed the temporary course of history for Israel by driving out the Romans, and He would have been an amazing king. Aren’t we glad that neither of them chose the good instead of the best? Aren’t we glad that they did not allow pragmatism and logic to dictate their actions? Dear reader, if you are a Christ follower, don’t miss the best because you choose the good. Don’t allow pragmatism or logic to dictate you life path. Just because you can do something well, and because you have a passion for it doesn’t mean that those pursuits should be the focus of your life. God may allow you to pursue some things as part time hobbies, but keep the main thing the main thing. 1. Yes, God still “speaks” to His children through His Word, through revelations of different sorts including prophecy, circumstances, and through the inner witness of the Holy Spirit, etc. 2. No, God gave us His Word, and we ought not to lean towards anything more than that. Love God and do as you please, and things will work out because God is sovereign, and He is good. That is a simplification of what was said today. I happen to believe both of those ideas, but that isn’t the point of this article. Some of the brethren “seemed” to base their theological position upon the excesses of “the other camp”. I won’t even mention what their positions were, or what their arguments were, because that isn’t the main point here. The Main Point Here Is…it seems as though when we see excesses in a certain camp, it make us sure that our camp is correct, because they obviously make lots of mistakes “over there”. When the debate started, strong convictions were given. What was revealing though, was that instead of Scriptures leading the way in the argument, the excesses and mistakes from “those other guys” were offered up as evidence “against them” and “for us”. Let me add that none of it was done in a mean or unloving way. When Biblical evidence was asked for, the formerly “compelling argument” became a bit less compelling, and I felt, concessions were made. I must admit, that I was challenged in this as well. Is MY theology strongly based on Scripture, or is it equal parts of Scripture, personal experience, and the avoidance of what others do? What is the point here? Glad that you asked. 2. Our good experiences and comfort levels. The truth in such topics like “How Does God Lead His Children?” are not airtight, and are not, in my opinion, essentials of the faith. We should have an opinion on such things. We should have strong opinions. I hope that our opinions are based more on God’s revealed Word than on experiences, whether ours or other people’s. Mark 4:18, 19 Now these are the ones sown among thorns; they are the ones who hear the word, 19and the cares of this world, the deceitfulness of riches, and the desires for other things entering in choke the word, and it becomes unfruitful. Jesus often taught the masses by way of parable, which is an earthly story that illustrates a heavenly truth. The parable of The Sower was one such parable. The Pharisees were some of Jesus’ biggest critics. They were the supposed super elite of the religious community in Israel, and they were sure that Jesus was a blasphemer who was worthy of death. They had personally challenged Jesus, but had been publicly corrected and refuted by Jesus. This only served to further harden their hearts against Jesus, and so they sent their own disciples to question Jesus, hoping to trap Jesus in His words, that they might incriminate Him. Matthew 17:1-8 1Now after six days Jesus took Peter, James, and John his brother, led them up on a high mountain by themselves; 2and He was transfigured before them. His face shone like the sun, and His clothes became as white as the light. 3And behold, Moses and Elijah appeared to them, talking with Him. 4Then Peter answered and said to Jesus, “Lord, it is good for us to be here; if You wish, let us make here three tabernacles: one for You, one for Moses, and one for Elijah.” 5While he was still speaking, behold, a bright cloud overshadowed them; and suddenly a voice came out of the cloud, saying, “This is My beloved Son, in whom I am well pleased. Hear Him!” 6And when the disciples heard it, they fell on their faces and were greatly afraid. 7But Jesus came and touched them and said, “Arise, and do not be afraid.” 8When they had lifted up their eyes, they saw no one but Jesus only. I very much relate to Peter. He was privileged to know Jesus. As a Christian, the Lord indwells me. I am involved with worshiping Jesus, and walking with Him, as did Peter. God reveals things to me, as He does to every seeking Christian. It is a blessed and wonderful life. I would not trade it for anything. Like Peter, I can experience the things of God, and be very excited. I can take in information, and come to a conclusion about what ought to be done. I can make suggestions to God and to others about what to do, what to plan for, and why certain things ought to be done. It is with good intentions that Peter did that. It is with good intentions that many sincere Believers do the same. In this passage, Peter is interrupted by God Himself. The declaration and command are that the Father is pleased with the Son, and that the disciples ought to be listening to Jesus. What is striking to me is this: Peter went from an incredible experience that prompted suggestion making, to an even more incredible experience that caused him to fall on his face and be greatly afraid. Peter went from a “manageable” experience with Jesus to something that brought a temporary undoing. God is good, but He is not manageable. We will experience much with Him that we can “handle”, but He will, on occasion, impact us to the limit of our being. He does not do that to injure us, but to make an impression upon us that He indeed is God Almighty, and He will not be dictated to by our good intentions. If we have a healthy faith and close relationship with God, He will undo us from time to time. The words “hearing” and “listening” are very similar, and yet for the purpose of this article, allow me to offer a distinction. Hearing: the faculty or sense by which sound is perceived. Listening: the act of hearing attentively. Those who hear the words of Jesus need to put forth effort to hear Him with sincerity of heart. It is entirely possible to hear the words of Jesus, and see His works among men, but still be deaf and blind to the realities of Who He is. In Matthew 13, Jesus spoke the parable of The Sower. When He finished, His disciples asked Him why He spoke in parables. Consider the ramifications of His response to their question. This post is from my friend, Pastor Bill Holdridge. 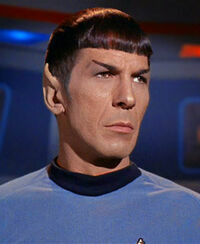 The Spock picture has nothing edifying to do with the article. I just wanted to be goofy. Bill Has some great insights here. I had something happen to me recently—an experience that has become an amazing tutor. Let me tell you the story, if you will. It all goes back a number of years, to the time when I began going to things like retreats and Pastor’s conferences as part of my calling and life as a believer. These are very interesting social encounters, and each one is different. One commonality, though, is the incredible experience of sleeping in a large cabin with other men. I’m talking very high decibel levels here; the kind that cause a light sleeper like me to lose an entire night’s worth of needed rest. I can wake up from a leaky dripping toilet or dripping faucet in another part of the house, so you know how light a sleeper I really am.